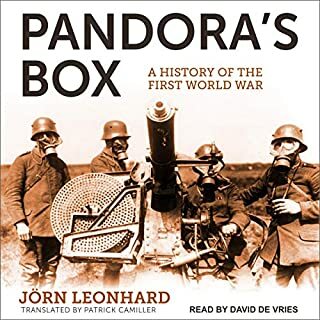 From the acclaimed military historian, a new history of the outbreak of World War I - from the breakdown of diplomacy to the dramatic battlesthat occurred before the war bogged down in the trenches. Amid a great collection of scholarship and narrative history on the Revolutionary War and the American struggle for independence, there is a gaping hole - one that John Ferling's latest audiobook, Whirlwind, will fill. Books chronicling the Revolution have largely ranged from multivolume tomes that appeal to scholars and the most serious general listeners to microhistories that necessarily gloss over swaths of Independence-era history with only cursory treatment. Thorough...I got a lot out of it. A century has passed since the outbreak of World War I, yet as military historian Hew Strachan argues in this brilliant and authoritative new book, the legacy of the "war to end all wars" is with us still. The First World War was a truly global conflict from the start, with many of the most decisive battles fought in or directly affecting the Balkans, Africa, and the Ottoman Empire. Even more than World War II, the First World War continues to shape the politics and international relations of our world. 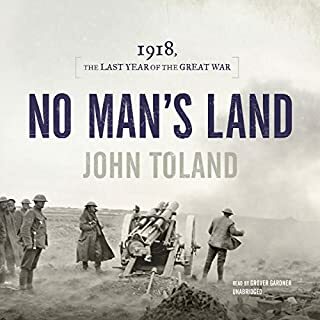 Strachan has done a masterful job of reexamining the causes, the major campaigns, and the consequences of the First World War, compressing a lifetime of knowledge into a single definitive volume tailored for the general listener. Written in crisp, compelling prose, The First World War re-creates this world-altering conflict both on and off the battlefield - the clash of ideologies between the colonial powers at the center of the war, the social and economic unrest that swept Europe both before and after, the military strategies employed with stunning success and tragic failure in the various theaters of war, the terms of peace and why it didn't last. 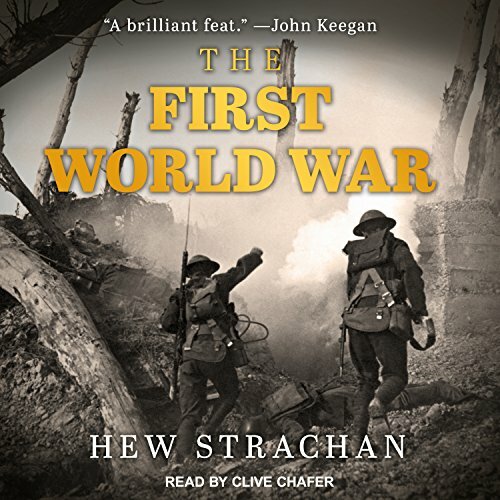 Hew Strachan, more than most other authors on the First World War, gives a sense of its global involvement. The initial war in Serbia is described in some detail; the Eastern front gets almost as much attention as the Western front; the war in the Aegean consists of more than just Gallipoli; and there's a whole chapter devoted to the war in Africa. This is probably the best one-volume description of the military action of the war. Where Strachan falls short is in his evocation of the impact of the war on the soldiers fighting it: the mud, the despair, the endless shelling, the body parts blown out of the ground by fresh shelling. But in terms of what he set out to do, it's an outstanding account. 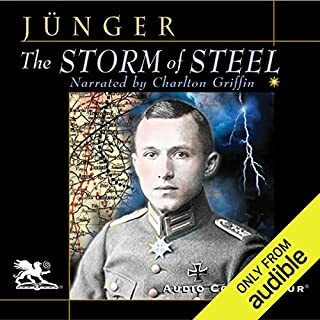 The narration by Clive Chafer is serviceable but not particularly emotional. I don't know if it was my OCD, but the narrator used a distinct and consistent cadence that I found hard to get past. His sentences had a distinct speaking pattern that never seemed to vary and made the material very dull. The story seemed to assume a lot of geographic knowledge that the newcomer to this history probably wouldn't have. If you had some significant knowledge of WW1 before you read this book, it might be better. If you know basics of the War and want to get more in depth, this probably is not a good book to go with. Narrator made it hard to listen to. The content was great, but the narrator reads it like a news report. It made it difficult for me to follow. What would have made The First World War better? The book tries to do too much for a single volume on WW1. The amount of detail on the war in Africa and the war at sea seems like a worthy endeavor, but in reality, just ends up being clumsily delivered. Those theaters of war are best served in volumes dedicated entirely to them. The book gets bogged down in details about fronts that are not essential for the understanding of the conflict while glossing over other details that are essential. 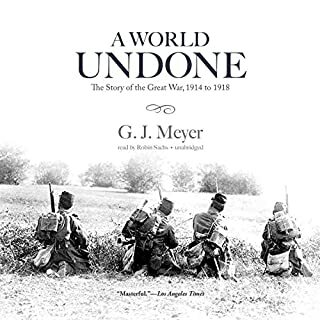 All of this is forgivable, however, because once the book does tighten in on the real focal points of the war, it does get better, but even then, there are numerous other books that are simply better options (A World Undone, by G.J. 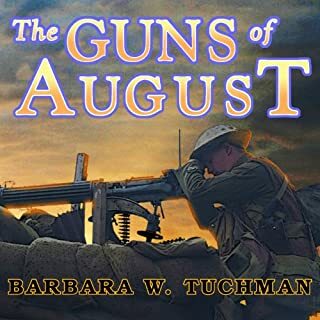 Meyer; The Guns of August, by Barbara Tuchman; to name a couple of examples). Clive Chafer has an utterly lifeless voice. Every single sentence has the EXACT same inflection and tone. It's like listening to an extremely stuffy British news man read headlines for days on end. It's not monotone, exactly, but it is so tonally repetitive that it begins to feel very monotone. Not good for late night drives. Unfortunately, also not good for the absorption of information. Disappointment. The narration is pretty much a deal-breaker. The presentation of events is cluttered. The book is too unfocused. It's a slog to get through. As stated above, there are several clearly superior options. 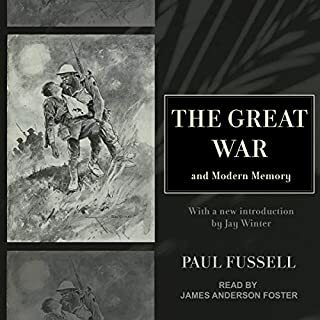 This is a great single volume history of the Great War. I recommend John Keegan’s book for a more complete version but this one gives more depth in certain areas that are not quite as well-covered in other single volumes, like Eastern front, Japan’s involvement. This is truly a global approach to covering this WORLD WAR. It doesn’t spend 90% of its time on the Western Front as is expected in most general history books on the war. loved this book, ww2 has been done to death,not a lot is done to detail the who,what,where,and why of the Great war. Sadly it acheived not the end of all wars,just a reshuffling of the deck. Letting new players to set down at the table. r Royalty ended its colonial ways,most became figurehead. The new fresh hells of horse back and saber to machine guns and tanks where born. Tied it all up nicely.